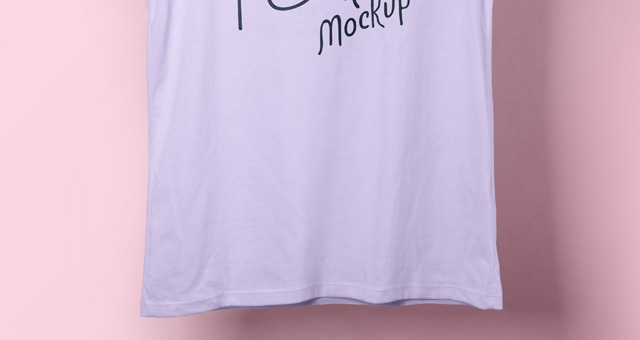 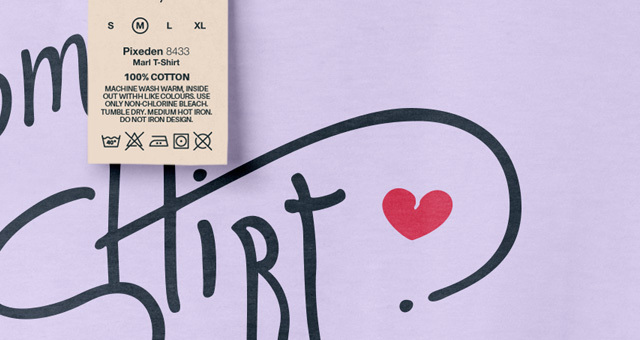 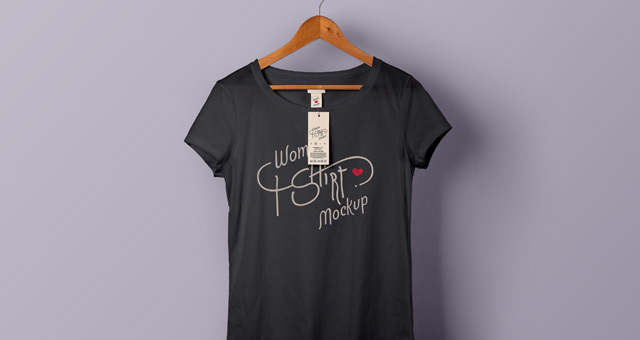 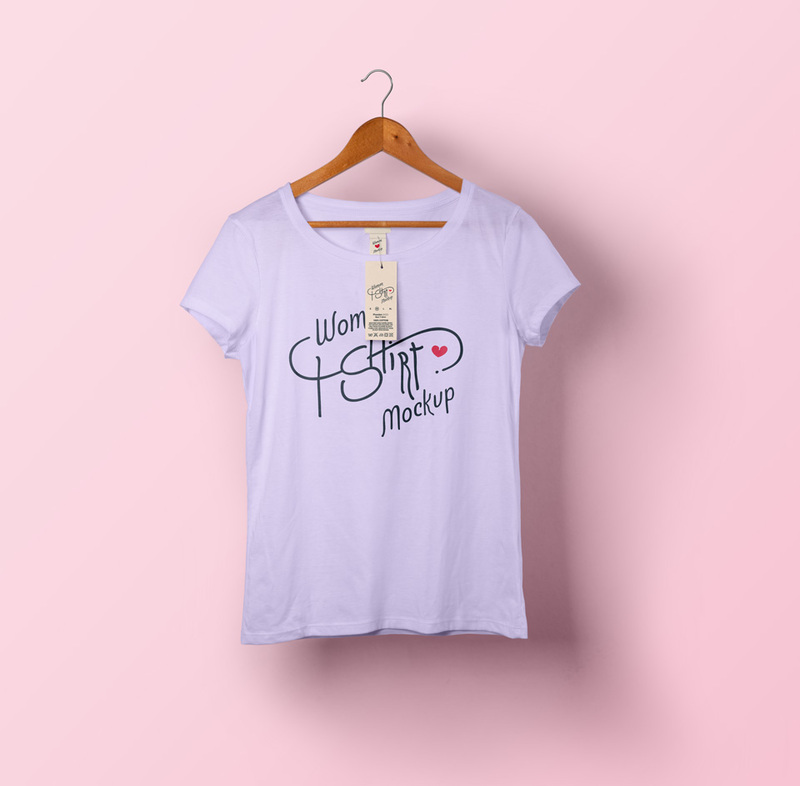 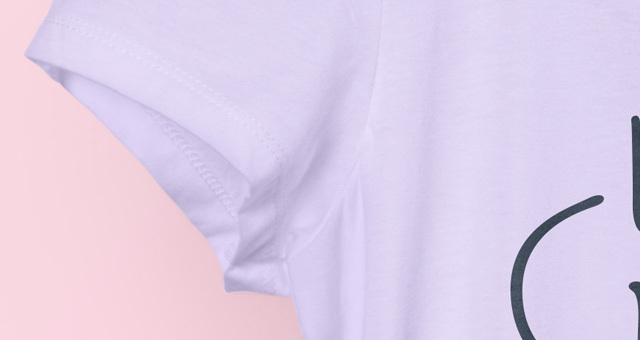 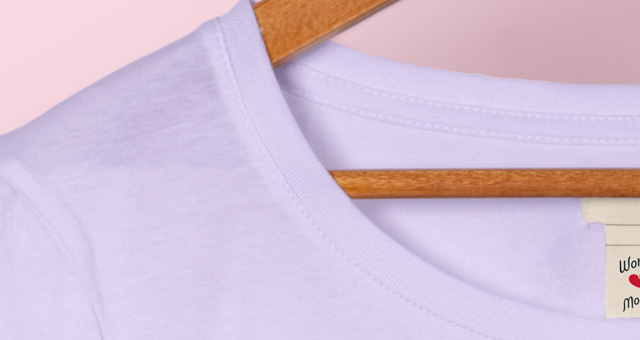 This is a woman psd t-shirt mockup to showcase your t-shirt designs with style. 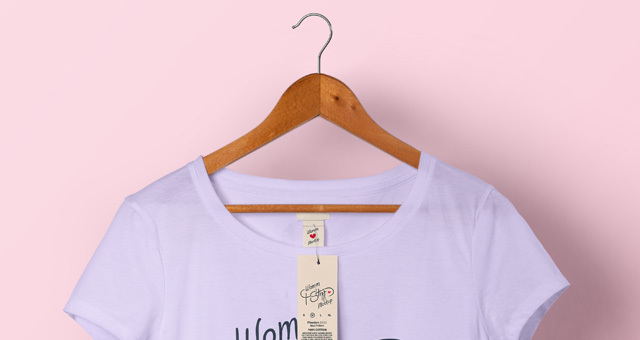 It comes with a label branding and a wooden hanger. 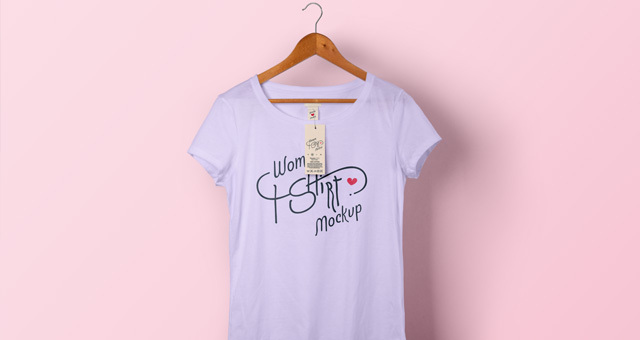 You can change the color and add your our graphics with our smart layer.